Botankia @ Tebrau Coast, a newly launched Johor Bahru Iskandar Waterfront development, offering premium low density condominium set in a 6 acres of lush greenery with breathtaking views of the Tebrau coastal lines and a generous built-up area starting from 1,126 sqft for a typical 3 bedder, promises homeowners an invigorating homeownership experience at an affordable luxurious waterfront living. 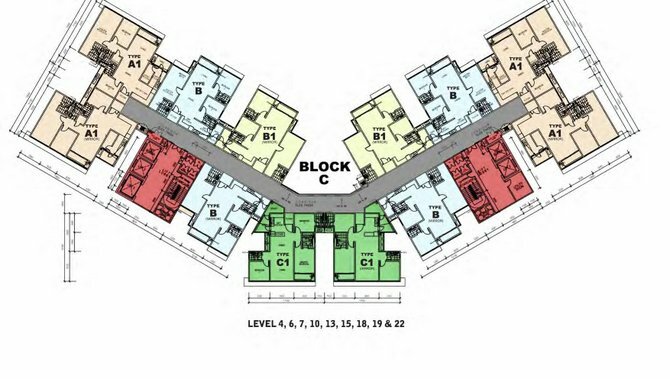 Developed by Bayou Bay Development Sdn Bhd , a subsidiary of Iskandar Waterfront Holdings, Botanika @ Tebrau Coast comprises of three blocks of 23 storey apartments with a total of 792 units and 3 Block of Town Villa comprising of 54 units set over a huge area of 528,339 sq ft of 99 years leasehold land and will complete in around 2018. 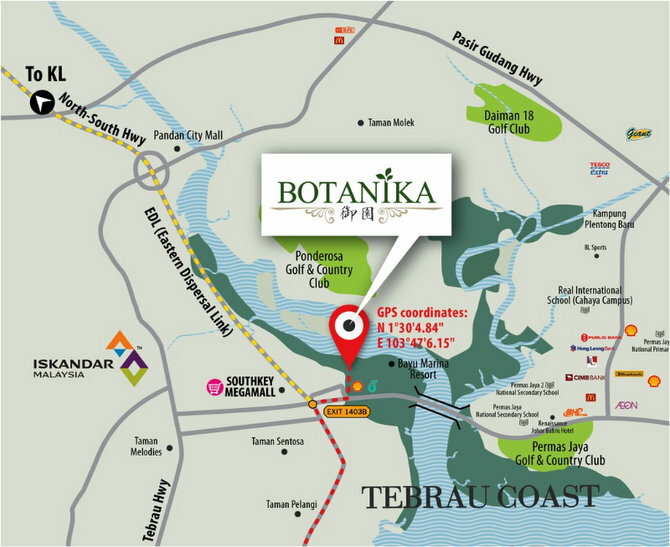 Botanika @ Tebrau Coast is strategically located at Bayu Puteri of Tebrau Riverside in the Tebrau Coast waterfront city. This is just the eastern corridor of the grand master plan of Iskandar Zone A's Johor Bahru Waterfront developments that stretches 25 km from the eastern to western coastal line of Johor Bahru. 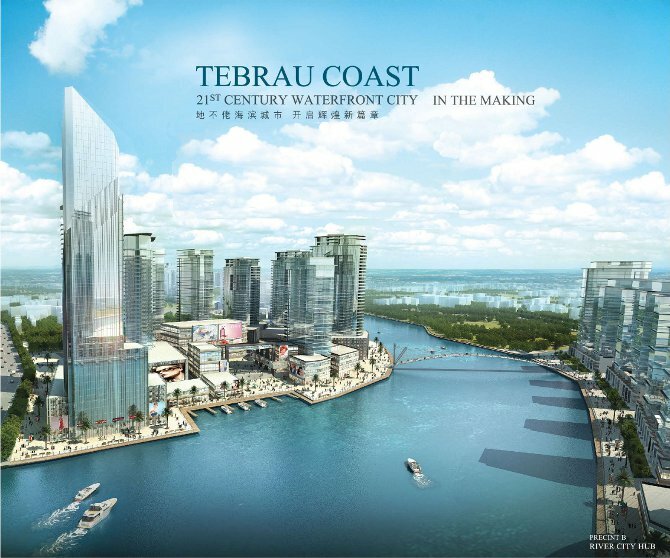 Tebrau Coast is a 21st Century Waterfront City in the making, strategically located across 1,000 acre of prime land along the Tebrau River and the Straits of Johor, facing a magnificent view of Singapore, Tebrau Coast is set to realize its potential as a truly international waterfront lifestyle and cultural center in the Eastern Development corridor. 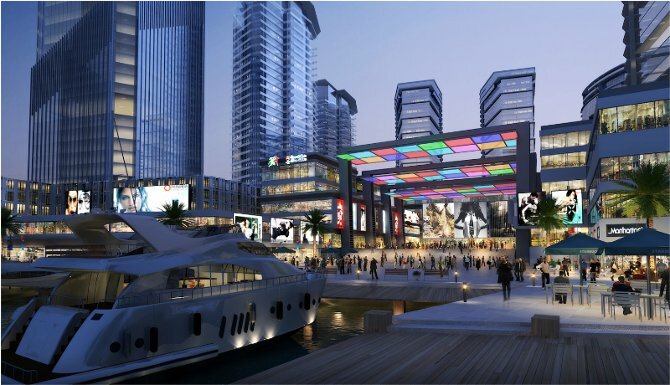 The waterfront city consists of 5 flagship projects, namely Tebrau Riverside (A), River City Hub (B), Molek Landing (C), Plentong Cove (D) and Tebrau Waterfront City (E). Together these 5 flagship mixed developments will boast a commercial centre, shopping galleria and an iconic waterfront recreation area. 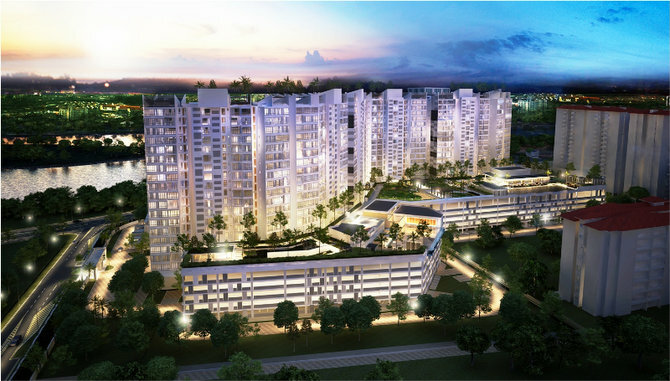 Its easy accessibility from the Johor Bahru CIQ via a new highway, Eastern Dispersal Link (EDL), is a swift 5 mins drive, with no traffic lights in between, will certainly be a boon to many residents commuting in and out of Singapore and Johor Bahru. 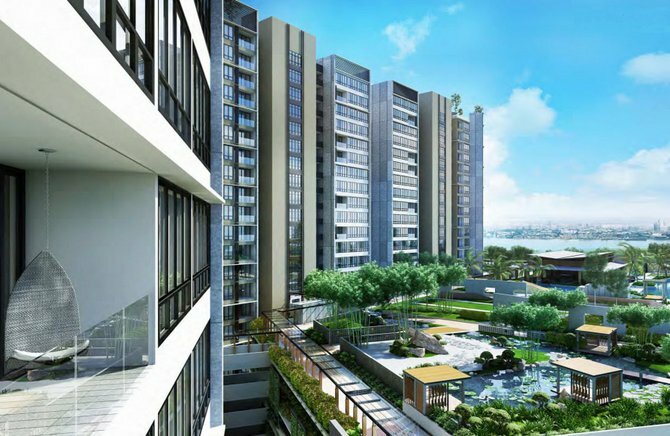 What is unique about Botanika @ Tebrau Coast is its exclusivity it offers to homeowners. 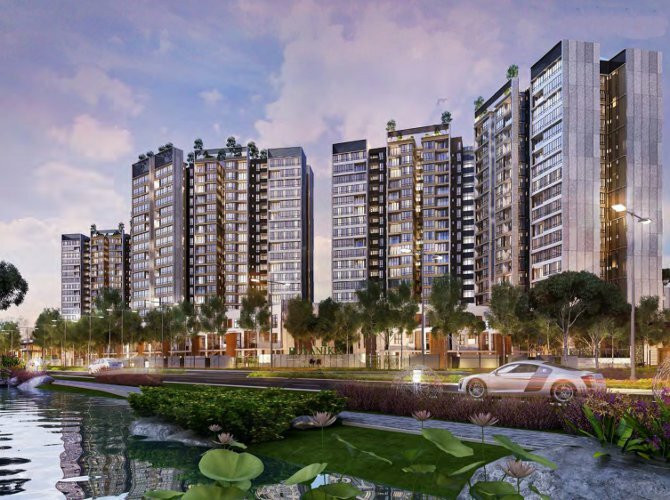 A low density development comprising a total of 792 units with breathtaking views of the Tebrau waterfront in a generous 6-acres greenery of landscaping provides for a revitalizing waterfront living, the Botanika is a refreshing change from the usual high density condos in the market. Space, architecture and landscape are thoughtfully layout with a generous offering of resort-styled full condo facilities to provide seamless integration of all the elements of a luxury residence. 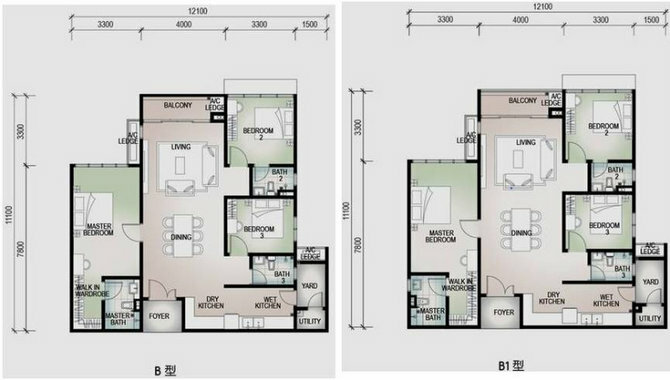 To top it all, the built-up area of a typical 3 bedder apartment is spacious 1,126 - 1,422 sq ft at a price of S$3xxK making it one of the most affordable luxury waterfront home. 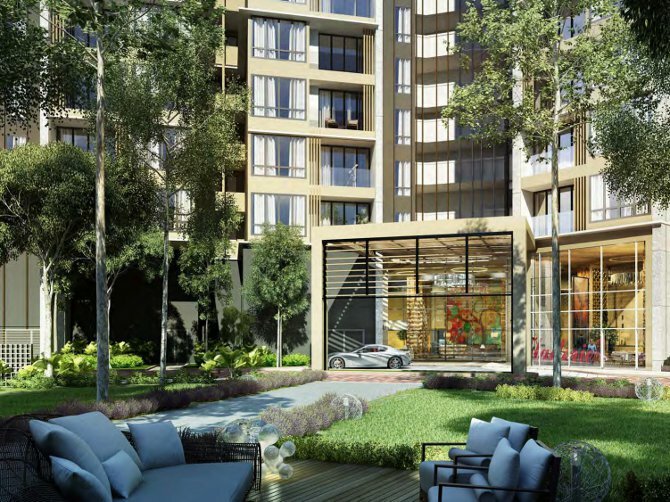 Conveniently located, a wide variety of amenities are just round the corner of Botanika @ Tebrau Coast with all the luxury of conveniences within 3 to 10 mins drive. 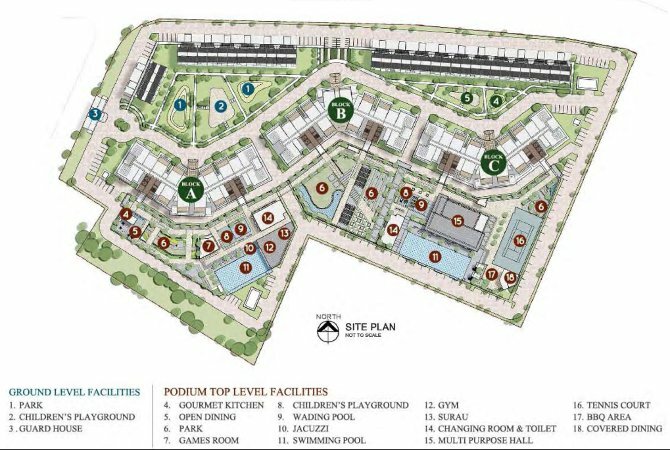 These includes an upcoming Southkey Mega Mall, Aeon Permas Jaya, Renaissance Hotel, Permas Golf & Country Club, Real International School, Banks, Regency Specialist Hospital, Tesco Extra just to name a few. As the TEBRAU COAST realizes its potential as a truly international financial and cultural center, Botanika at Tebrau Coast fulfills the demand of discerning international buyers who focus on the details that define quality of life; enhanced living space, integration with the natural environment and a home finished in pure bliss. 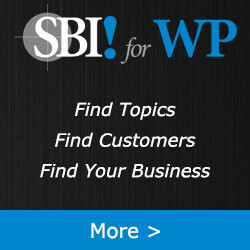 Site Area : Approx. 12.129 acres/528,339 sq.ft. 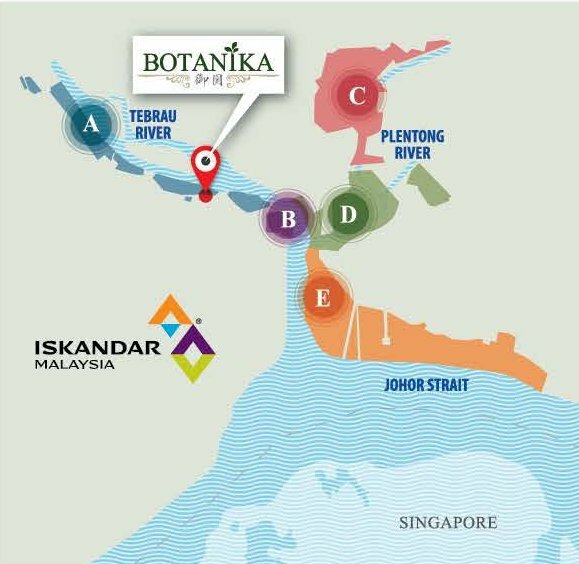 Botanika @ Tebrau Coast is just a short 5 mins drive from the Johor Bahru CIQ via the new Eastern Dispersal Link (EDL) highway and a wide array of amenities within easy reach. DON"T Miss this 1st Mover Advantage to Own an Affordable Waterfront Living in an upcoming Tebrau Coast Waterfront City. 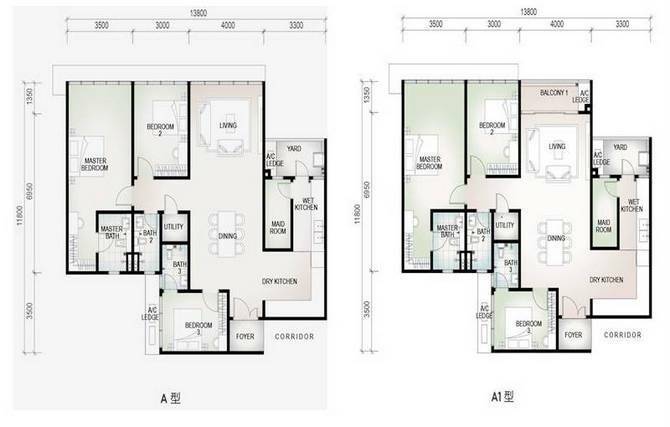 Brand new launch of Botanika @ Tebrau Coast 1st Tower for Sale. 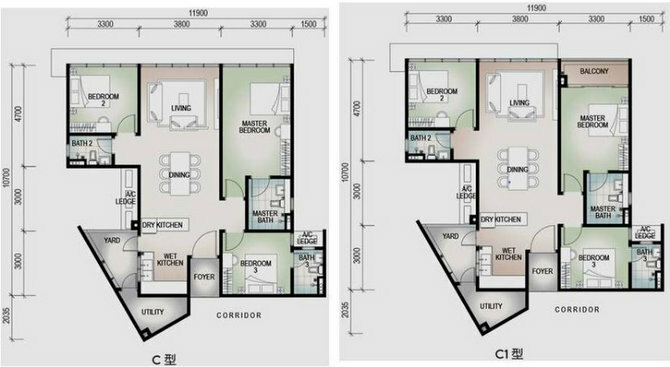 Units Selling Fast!